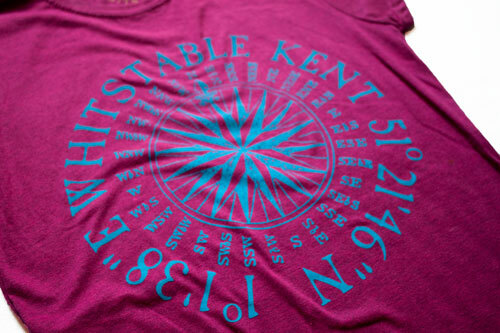 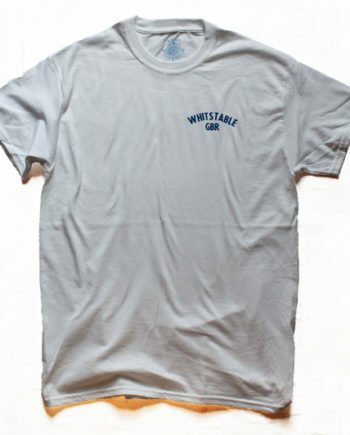 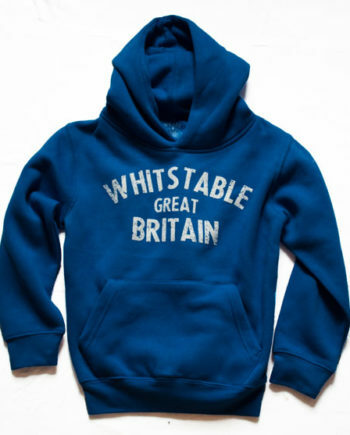 Ladies fitted Whitstable Kent Compass crew neck Tee. 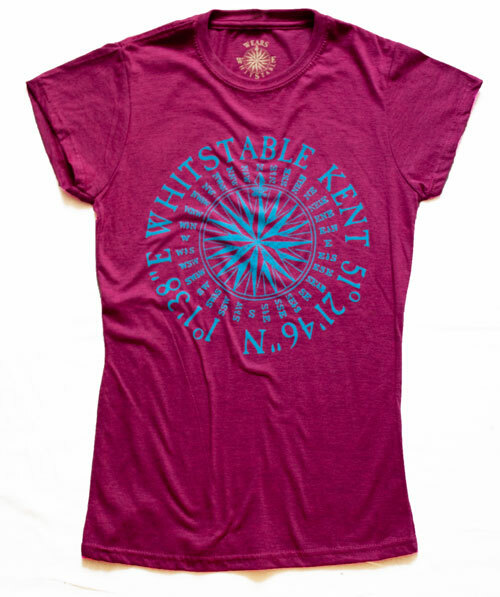 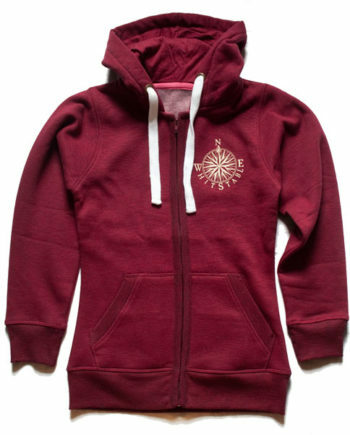 Ladies fitted T-shirt. 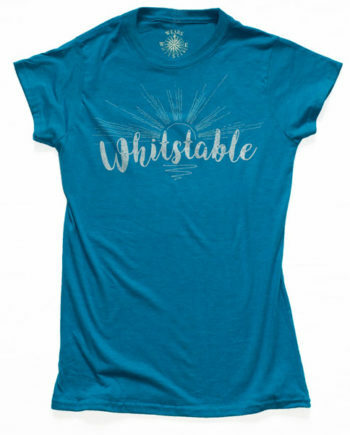 soft cotton fabric with our blue printed Whitstable Kent and coordinates and compass design.